Internationally acclaimed solo modern choreographer/ dancer, Margie Gillis has been creating original works for over forty-five years. Her repertoire includes more than one hundred dances, her signature solos, as well as duets and group pieces. She also gives lectures on dance and the role of art in society. With her unique approach of “Dancing from the Inside Out”, she teaches her art form to professionals and aficionados. She also mentors fellow artists of excellence and new dancers alike. 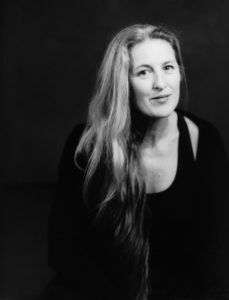 Her numerous awards and distinctions include the Lifetime Artistic Achievement Award from the Governor General’s Performing Arts Award Foundation and the Stella Adler Studio of New York first MAD Spirit Award for Exceptional Humanitarian Actions by an Artist. She is Knight of the Ordre national du Québec and Officer of the Order of Canada. Margie Gillis’ masterful interpretation of the different facets of the human soul has won her loyal audiences over the years. Unwaveringly, she continues to develop her craft through experimenting, teaching and creating.